Retriever Cafe. We are closed now. On the edge of Shubuya, Tokyo. 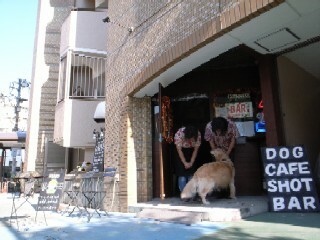 We ran the cafe-bar by the 2 mascot dogs Wantan, Little and a few human staff. It was like a sunny spot in a deep forest. We are planning to open the cafe-bar again, someday somewhere.